The Horror Movie BBQ: Orange Cream-Mania! Y'all can eat all the strawberry cake and drink all the cherry soda you want this summer, you can bake all the s'mores you wish, but nothing...NOTHING...can take the place of the deliciously citrus taste of orange cream. Ok, now that may have been a bit harsh, but I am as passionate about orange cream as others are about Stranger Things or breathing oxygen. It's a different strokes for different folks situation, because I'm fully aware not everyone grabbed the orange freezer bars out of the box of Fla-Vor-Ice like I did but you have to remember that the taste of artificial strawberry and cherry made me nauseous, so I had to have something to cool me down. Even now, I'd rather have an orange soda over a beer when I'm having a cheeseburger off the grill. 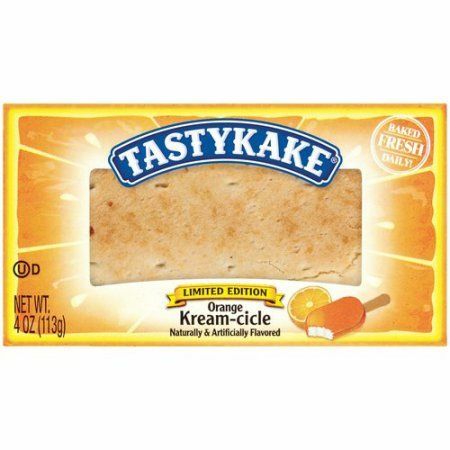 For those of you who didn't grow up in the northeast, Tastykake, imagine a classier Little Debbie. Cakes, pies, cookies, it's essentially a super processed bakery from Philadelphia, but the pies are like Tastykake has certainly stepped up it's game in the orange cream arena. As great as all of their delicious treats are, the summertime exclusive pie is really where I'd put my money. These orange cream mini pies are a perfect treat, I highly suggest picking one up along with your Wawa hoagie. It'll be a match made in heaven. These are still being made, but without the Fred Flintstone endorsement. Apparently Fred saw it more financially prudent to just lend his image to a cereal. Respect. But he had a good run. The last time I remember buying a pack of these at the grocery store, was in 2004 when my girlfriend at the time came over to spend the night and she brought these because she hadn't seen them in years. All 6 bars were gone by midnight. 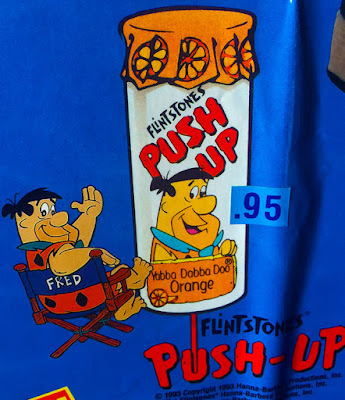 These Push-Ups were pretty popular in my town. I don't know how popular they were with you and your friends, but the fact that these not only included orange, but a cartoon character, helped make this an easy purchase from the ice cream truck. And they weren't just ice cream, they were sherbert. To me, sherbert was only brought in to the equation was during Christmas, when it was mixed with ginger ale or 7-Up, so this was a special treat. Also available in Bedrock Berry and Lime Rock Lime, these provided a cool, tasty distraction from the heat. This one isn't regional or discontinued, so you're in luck. 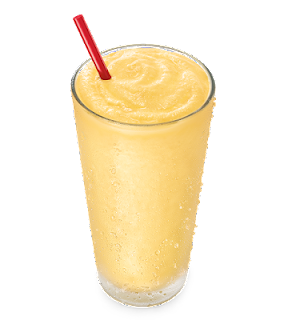 Imagine taking a giant orange creamsicle, melt it, carbonate it and put it in a glass. That's EXACTLY what this tastes like. I didn't have this before I moved up to NY, so it's not a traditional favorite for me personally, but I envy those who grew up drinking this. I bet it would go well with just about anything at your upcoming cookout. Besides, who doesn't love drinking sodas out of glass bottles? 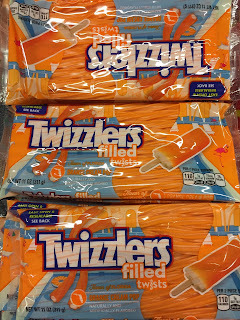 I've never been a fan of Twizzlers/Red Vines/licorice. The flavor always bothered me, as mentioned at the beginning. But once I discovered they had these bad boys, I was singing a new tune. I'm sure these will taste little too sugary from some people's personal preference, but I still suggest picking them up! It seems they're only around for a few weeks at the beginning of the summer and then vanish, only to be seen again next year for a short time. I've already found them clearanced at Target, so time may be up for them. Eating a handful of Sonic's delicious tots and slurping this is what I imagine my summer to be in a nuthshell. This is seriously amazing. And don't forget a topping of whipped cream to send the point home. Yes, it's sugar/orange cream overload, but it's so worth it! This was introduced a few years ago but to the best of my knowledge, no one I know has actually tried it! I'm assuming it's either regional or produced in very, very limited batches because I've never seen it pop up at any of the stores in my area. 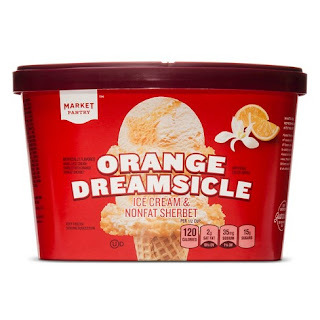 Sure, it's nothing but orange sherbert, but Market Pantry ice cream is some of the best hard pack ice cream ever, so my hopes are insanely high for these. Apparently they're also available in bar form, but I have yet to see those either. If anyone at Target is reading this, PLEASE SHIP THESE OUT TO WESTERN NY! I WANT TO GIVE YOU MY MONEY! ALL MY MONEY. The king. His royal orange-ness. This guys its upon a throne of orange creamsicle goodness and demands respect. For good reason. I actually remember this day, my first bowl of Yummy Mummy. Oh the taste. 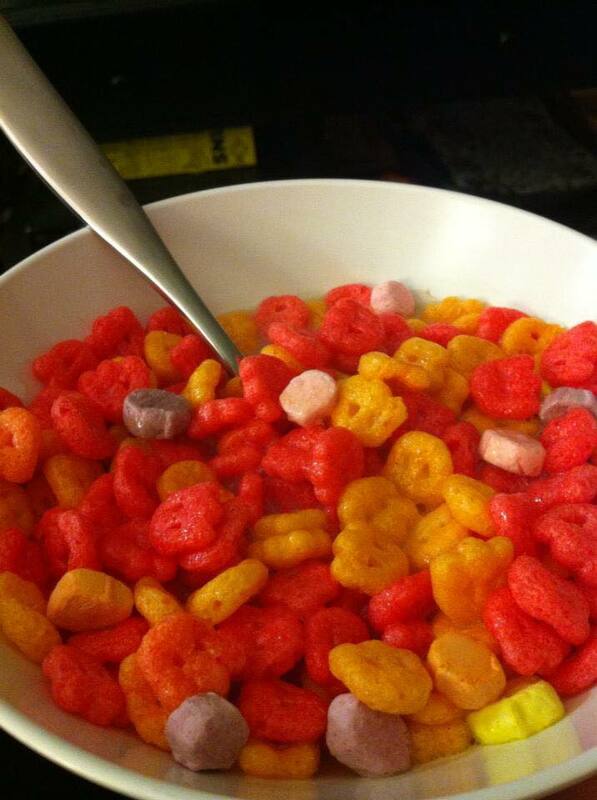 It was like everything above crammed in a blender and mixed with a cereal. Whereas I never had this as a kid, something about it made me feel like a kid anyways. 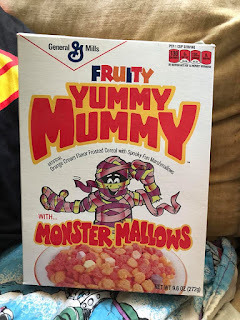 Maybe it was the bright colors and marshmallows, maybe it's the box, maybe it's the taste, maybe it's the mascot maybe it was the experience of being in my first apartment on a Saturday morning in October, while eating these and watching Saved By The Bell (which is something I still do!). It brought a lot of happiness to me and certainly anyone who tasted it. I don't really recall anyone hating it, although if you weren't a fan of orange, I can imagine you'd wanna stick with Frute Brute or Frankenberry. But for me, this gives Chocula a run for his (blood) money. Sadly, Yummy Mummy hasn't been back since 2013 and every year, fans continue to hope for his epic return. Hopefully it won't take another 25 years. 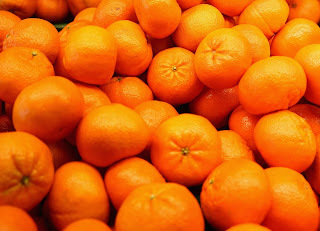 So there you have it, a fun list of orange creamy goodness. If there's one thing this list convinced me of, it's that I need to stock my freezer with all of these items all year round. I grew up on the tasty treat Push up with the flintstones. Man they made summer so much better. 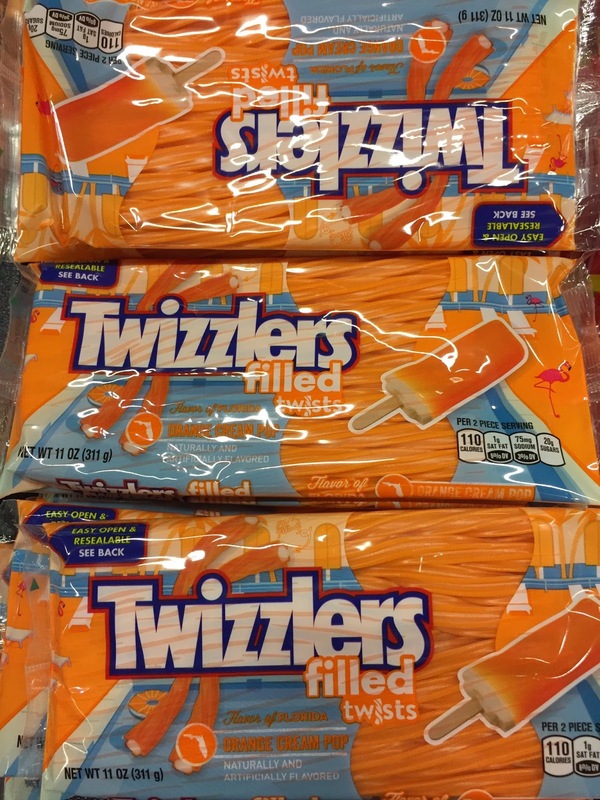 Now is you will excuse me I need to get a dreamsicle bar from the freezer. 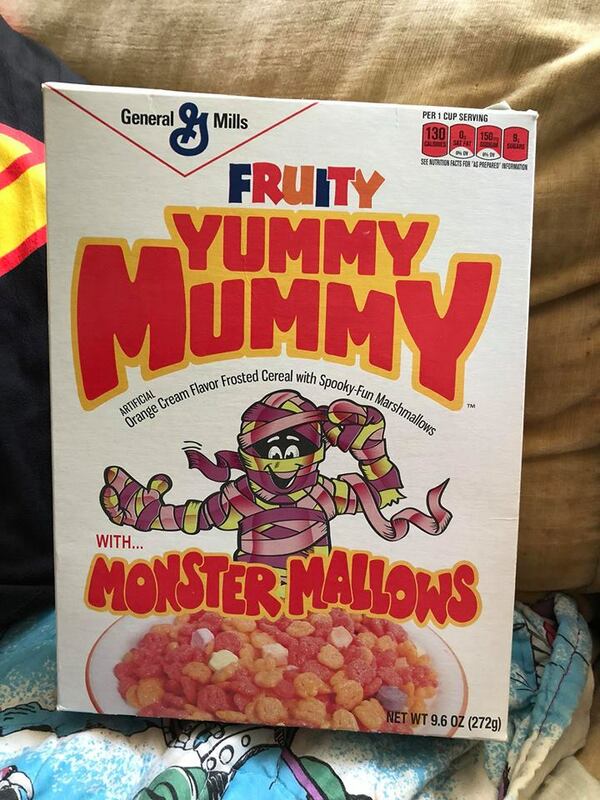 Fruity Yummy Mummy was incredible. I had never had it until the re-release in 2013 and, man, did it live up to the hype. 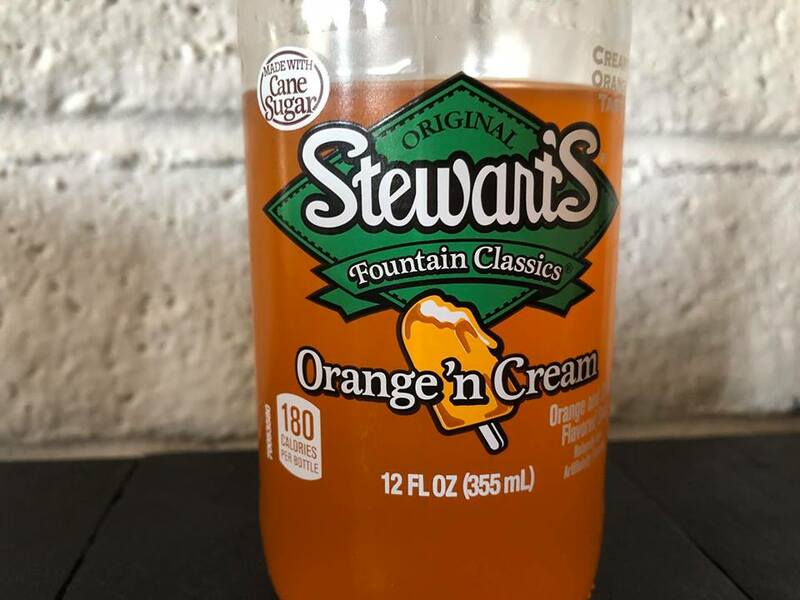 Also, I really need to get some Stewarts. That was one of my favorites as a kid. I haven't had it in years but the grocery store sells it. One year for my birthday my dad baked me a dreamsicle cake which was so good! We also made dreamsicle cookies when I was younger. Basically sugar cookies with white chocolate chips and tang mix in the batter if I recall correctly. 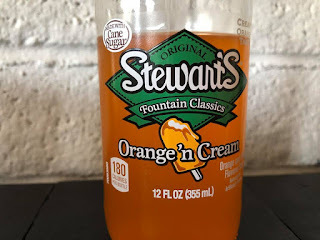 Stewart's Orange 'n Cream is pretty amazing... especially on a hot summer day like today.